I will never forget that phone call. I knew this moment would eventually be here, but in the back of my mind I pretended if I didn’t think about it, things would eventually work out. We would just make more money. Someday we would pay off that balance. We could start saving next year. What’s the worst that can really happen, right? Just a few minutes before the phone call, my wife Andrea was at the grocery store with our 10-month old son. Whenever she is out in public, people immediately recognize her as the morning-show news anchor from our city’s local news stations. Today was of course no different. At the checkout, Andrea waited for each item to go across the scanner and into the bag. The total came to just over $150, which for our family of three was the standard going rate for a week of groceries, diapers, and formula. She handed her credit card over to the cashier and it was DECLINED. The second card DECLINED. The third card DECLINED. The next day when I came home from the fire station, Andrea and I sat down at the kitchen table and began to unravel this dirty little secret we were not only keeping from everyone else, but we were also keeping from ourselves. It started the moment we left college and entered the real world. I joined the fire department and Andrea landed her dream job with the local television station. Not to brag, but the reality was we were young, we were making a six figure salary, and we didn’t have kids (yet). Life was easy…or so we thought. As you can imagine, we started off life completely normal according to society standards. We bought a brand new truck, a luxury car, a new home, and all the bells and whistles to go inside. We went on lavish vacations, cruised all over the Caribbean, purchased expensive jewelry, and said “yes” to everything and anything. We were known as that “fun couple” and when you are young and dumb, wearing that label is one of the best compliments you can receive. 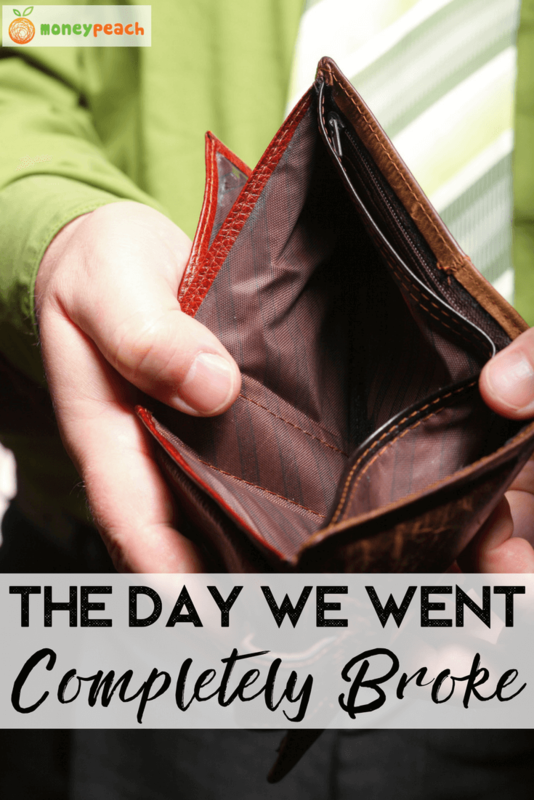 After four years of living paycheck to paycheck, overspending, overindulging, and not paying attention to our money, we financially hit rock bottom. We had maxed out our credit cards, overdrafted the checking account, and had never thought to build up a savings account. All we had left to show for our financial stupidity was $52k of debt and a ton of shame. I remember sitting there at the kitchen table staring down at the floor in disbelief. Did we really let it get this bad? Were we so foolish to think the debt would never catch us from behind? How did this happen? Why did it seem like everyone else had it figured out, but yet we were sitting here flat broke? To make things worse, we started worrying about the reaction from our friends and family. What were they going to think of us if they knew the truth? Would we tell them and how would they react? What about our son Carter? If we couldn’t even afford our family at this point in our lives, what would happen as life progressed, became more complicated, and much more expensive? All of these emotions came crashing down into our pseudo-perfect world and that was when we finally had to face reality. It was now or never. That day would be known as day one of our own debt-free success story. This saying became our motto. If living paycheck to paycheck, going deeper into debt, and overspending was easy, then the opposite would have to be true. Taking back control of our life and money was going to be hard. Period. The first thing we needed to do was to figure out how to manage the money coming in and going out each month. 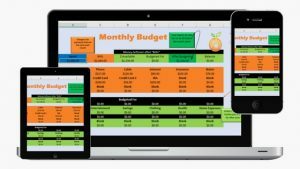 Many people call this a “budget”, but we preferred to call it a cash-flow plan. It’s simple really: budgets sound like prison food and water and a cash flow plan sounds like something Andrea and I would be willing to do together. We knew our spending habits were out of control. We had to order new credit cards throughout the year because we wore out those magnetic strips from overuse (not really, but you get the point). We decided we would go to an all cash lifestyle. We would become one of those weird people who carry around cash in envelopes and only spend what was inside each envelope for the month. We started the envelope system in February 2011 and I am happy to tell you we still use our crazy envelopes today! We realized it would be impossible to dig our way out of debt so we decided at that moment we would never borrow money again. Never. Not for a couch, a car, a vacation, or even a house (luckily we already had a mortgage). We were done playing with debt. We had been told in the past debt was a tool. Well, I believe it can be a tool for some people, but for Andrea and I, debt was a tool that created a disaster in our lives. We can admit it – we don’t manage debt very well. The choice became ours: we would never play with debt again. Period. Sitting at our kitchen table, we one-by-one cut up every single one of our credit cards. It was scary, we were a little freaked out (okay, really freaked out), but it was also one of the most freeing moments I can remember in our little debt free story. Since that day we haven’t once used a credit card, we haven’t once borrowed a single penny from anyone, and contrary to what society will tell you – we are still here to talk about it! I hadn’t heard this quote until just recently, but it struck a nerve with me right away because money was our story. We had to decide what our story would be. Would it be a story of struggle or a story of freedom? Would it be a story of stressing over every bill each month, or would it be a story of financial peace? We made the decision to change the ending to our story. Things were about to go from wild to almost out of control. We sold clothes, furniture, pictures on the walls, shoes, textbooks, and even sold Andrea’s luxury SUV. We turned off our cable and purchased this HD antenna. We cancelled subscription services we had forgot we subscribed to and we began saving money in any areas we could think of. We had spent so long ignoring the reality of our debt, we really had no idea how much we were paying towards our debt or how much we had been paying in interest. Once we realized we were overpaying interest with both credit cards and student loans, we started to look at ways we could lower the interest rate. One of they key things we quickly learned was debt consolidation didn’t really do much for our money except make it convenient to have only one payment with an average interest rate and a small fee tacked on. If you get out a calculator, it is obvious debt consolidation is a CONsolidation. But, we knew we could save a ton of money with a lower interest rate. We lowered the student loan interest rate by 3% and dropped our credit card interest in half with a personal loan. Since we were no longer using our free time to spend money, we decided we would spend our free time making money. I started a pool cleaning service in our neighborhood and was able to generate $1,000 – $1,500 extra every month. Cleaning pools during the Phoenix summers of 118°F was not at all fun, but neither was remaining in debt. I did other odd jobs and worked as much overtime on the fire truck as they would allow. The best place to go when you’re completely broke……to work. 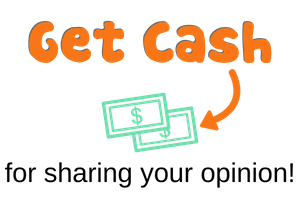 You can get started for free, take their surveys at anytime, from anywhere, on any device, and earn cash for your next tank of gas, a night out at a restaurant with friends, or for side-hustling your way to saving money and paying down debt. Check out the full list of the top survey sites here. There are four days I will always remember for the rest of my life. The first is the day I watched my beautiful wife walk down the aisle. It’s still the most beautiful thing I have ever seen. The second and third days were when our kids were born. No dad will ever forget that moment. The fourth day was November 17th, 2011. This was the day we paid off our debt. We jumped in our slightly used Kia and drove down to the Bank of America near our home. Our remaining balance was $1,272 and we had the money in our account to finally pay off this last chunk. I remember pulling up to the bank and my heart was racing. I grabbed my checkbook, Andrea’s hand, and we walked in side-by-side just like we had been doing over the past seven months. There was a small line to see the teller and both of us were standing in line, huge smiles from ear-to-ear, and giggling like a couple of school girls on the playground. The teller waived us over and it was time. It was our turn. All the sacrificing, all the eBay and Craigslisting, all the overtime, all those days cleaning pools in the summer heat, all the whispers from the family, and not to mention the overflow of straight up rude comments from our friends, would all be coming to an end. This was the moment Chris and Andrea would become debt free. I opened my checkbook, put my pen to the paper, tore out the check and handed it over to the teller. She handed back our receipt with our new balance: $0.00 PAID IN FULL. Obviously there is much more to our story, but we would need a book and a publisher to put it all in writing 🙂 However, if you’re looking to get started, my best piece of advice is this: don’t wait another second. Just get started. If you don’t know where to start, I host a FREE weekly workshop called “Stop Living Paycheck to Paycheck…And Just Live” and I walk you through more of our story and exactly how to get started. I think I like your story so much, Chris, because it sounds a lot like mine. Our rock bottom was just over five years ago, but from that point we’ve turned things around financially and are now on track for an early retirement. I’ve got 4 kids, live in an expensive city, and even though we’ve only got one income (my wife is a SAHM), we’re on track for an early retirement. I hope people will listen to your message and do what you say, because life is much better when you’ve got your financial affairs in order. Thanks for this. It’s good to know you’re not alone. Our family had to halt our out of control spending and sell our first house. We lived in an expensive area and flat out bough TOO MUCH house. It was killing us, but we took “advice” from family members and went ahead with it. It’s our fault ultimately — we signed the paperwork and took on the mortgage. But, it was one of the dumbest things we could have ever done financially. Thankfully, we were able to see the home at a profit. Guess that was the only financial benefit of living there! Haha. But, the large monthly mortgage was gone. We moved to a smaller home, a cheaper area, and we are much better off financially. Turned a real financial negative into a positive. And we can see the light! By the way, any friends or family who give you crap about trying to work through financial struggles are not worth keeping around. My mother still holds it against me that I paid off my student loans early. Apparently, that’s how I was supposed to “learn” about money. The crazy mindsets people have. I’m so glad you took the steps you needed to in order to get your finances in order. It takes a lot of sacrifice at first, but it’s worth it! Thank you Chris for inspiration, free tools. I work a lot but will really love to be part of the webonar, just can’t seem to find time. But I itruly appreciated your page. Very inspiring article! my husband and I are struggling to find ways to save money. He’s been working overtime and I’ve been getting rid of some of our household items, canceled our cable, in the process of possibly selling my SUV. My question for you, who watched your kids when you both worked? Child care these days seems to make it impossible to get more hours at work. I went to part time after our son was born so either me or my husband can watch him while one of us is at work. If we pay someone, we’ll be losing more money. Help! We were pretty lucky that most of the time our work schedules didn’t overlap, but we have participated in play dates with neighbors to help cut down on childcare costs. We would repay the favor when they needed a break or had conflicting schedules too. Awesome story. I like it best because you are transparent…like who would ever admit they are in debt. You will take the edge off for other people to admit this. My kids are doing financial peace university. We are in our 70’s and we lived the American dream…spend. spend..spend. we finally realized if we don’t quit spending we won’t have a house. So we quit. We drive a 2011 van and it will work and I don’t care what anyone thinks. Great story..proud of you both for being real and I love Andrea and only watch her. I do t watch the other news because they lie….Bless you. Virginia. I’m so glad you decided to stop spending. It’s never too late to make a change! My question is do you think it is financially a better option to own or rent? I am a teacher and I know the tax benefits and I invested in state retirement…. but I want the best for my money. I currently own but was just wondering because I want to retire in less than 15. I am waiting for the best multiplier from State. Your story is inspiring! I’m just curious how you lowered your student loan interest? Also, in order to lower credit card interest did you use a personal loan to pay it off? Yep – just like the post says. 🙂 We got a personal loan to help with the interest rates on our credit cards and student loans. Banks won’t just give you a personal loan unless your credit is good and you have some type of collateral. Most people who are in debt don’t have good credit and probably don’t own anything that a bank would see as having value. Obviously you and your wife did so that worked for you but you never really hit rock bottom. I mean you paid off 52K in 7 months which people who rack up debt can’t do that. So what’s your real secret? Family money? Or do you and your wife make more then your claiming so you could pay off this debt easily? Hi Mike, no we did it the old-fashioned way. We cut spending drastically. We sold stuff we didn’t need or use. We downgraded our car and lifestyle. Plus, we found every way possible to earn extra money. Very Inspiring story Chris Peach. I’m a 57 year old women working two jobs. I’ve blown through thousands of dollars over the years….your story has inspired me to pay off my debt and start saving for retirement. God Bless You? I’m so glad you felt inspired by my story. Best of luck to you with your financial journey! That’s a good thing! Meaning you are already familiar with how to work on getting your finances in order. My question is where did the extra 7-8K a month come from to pay off your debt? Getting rid of car payments, cable and trips(for 7 months) doesn’t equate to saving 7-8K extra all of a sudden a month. Having said that if it does then you and your wife make a lot more then 100K a year. Math doesn’t add up Chris. Hey Mike, I also picked up a lot of extra work from cleaning pools. Andrea and I also sold a lot of stuff – clothes, jewelry, things from around the house, etc. You can usually tell them when you apply that the funds will be used to pay off existing debt. While you were paying off your debt did you also put money away in savings? We did put some money in savings to make sure we didn’t have to go into further debt if we faced emergencies, but our main focus was debt. It’s always great to hear success stories, but more importantly, the WHY behind those success stories. Sometimes it takes a slap in the face! Thank you for sharing your story and congratulations on getting it all together. I’ve been thinking about doing a student loan consolidation but you are saying don’t do that? I’m torn between rehabilitation and consolidation. Loved this article btw! Just don’t make a fast decision because it could cost you money. Look closely at what you will be paying in interest before you do anything. A personal loan worked for us because we were able to pay less interest.